Did Edgar Allan Poe Really Write ‘The Raven’ In Saratoga Springs? Exploring one of Saratoga's most widely believed stories, and setting the record straight for good. We think. 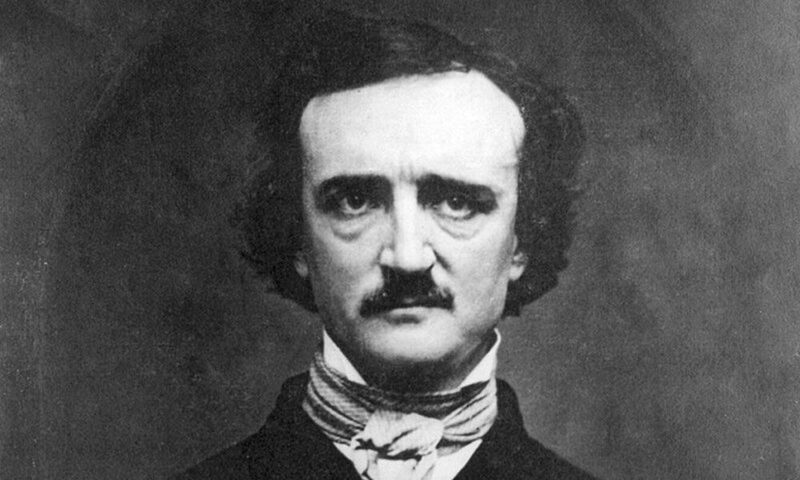 Poet Edgar Allan Poe wrote a draft of 'The Raven' in Saratoga Springs. If you’re a native Saratogian, you’ve heard this tasty historical morsel: famed poet of the macabre, Edgar Allan Poe, wrote “The Raven” in Saratoga Springs. But how much truth is there to the tale? According to a handful of Poe historians, the real story is a little more complicated; technically, Poe worked on “The Raven” for about a decade before he finally published what would become arguably his most famous poem. Susan Archer Talley Weiss, an associate of Edgar Allan Poe, recalled that the manuscript for the poem “had lain for more than ten years in his desk unfinished, while he would at long intervals work on it, adding a few words or lines, altering, omitting or even changing the plan or idea of the poem in the endeavor to make something which would satisfy himself,” records Thomas Ollive Mabbott, editor of the Complete Poems by Edgar Allan Poe. “He is said to have discussed the poem with Ann Van Riper Gillespie Barhyte, wife of [tavern] owner John Barhyte, and herself a poet,” says Mabbott. The Barhytes’ tavern? An early fixture in Saratoga Springs. (The land where the inn stood would later be purchased by Spencer Trask, and is now where Yaddo is located.) “Their children, James and Mary, remembered Poe, and the former claimed to have heard Poe reciting parts of the poem aloud in the open air. Poe did sometimes compose aloud, and the story is well-witnessed. Since Mrs. Barhyte died in April 1844, the date is fixed as prior to the time Poe composed a version of his poem he finally published.” Still with us? So when Edgar Allan Poe wrote the creepy poem we all know and love, he was actually down in New York City. But, for what it’s worth, Poe did fail at writing “The Raven” right here in Saratoga Springs.